Curator and Exhibition Designer. Colorado College's IDEA Space Gallery. Spring 2016. Skills Required: Curatorial Research and Studio Visits. Art Handling. Exhibition Design and Installation. Catalogue Publication Writing and Design. Marketing and Graphic Design. Budget Management. Event Planning. "ReSourced" features the works of Kathryn Hart, Jeremy Grant, Susan Goldstein and David Armstrong to highlight the diversity of contemporary collage and assemblage methods. Collage challenges the confinements of traditional fine arts media, straddles the boundaries of dimensionality, and creates a platform for storytelling and statement. 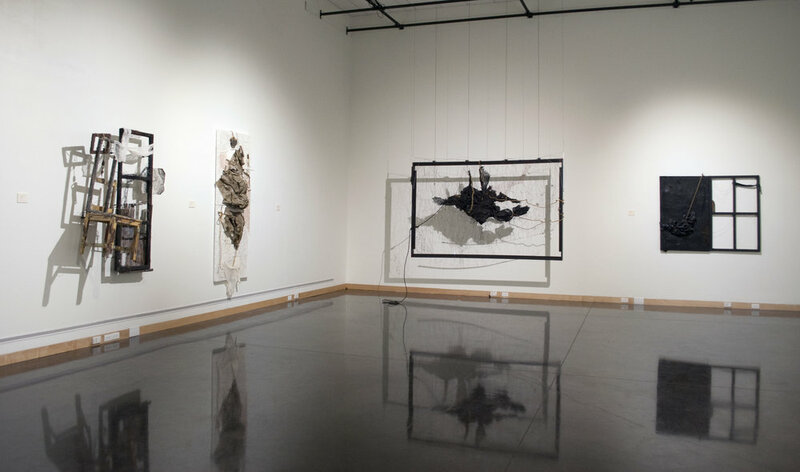 From exploring the visceral quality and rich history of found objects, to creating meticulous composition focused works, each artist represented offers a unique approach to processing and assembling source material. Their works inspire a curiosity for the untold stories of each individual object and image, while effortlessly redefining the intended purpose and context of each integrated element.